Cut the top slats to size according to the cutting list and round over their top edges and the ends. The top slats are secured to a rectangular frame which also holds the leg assemblies. Cut the frame's stiles and rails to size, then cut rabbets in their ends for the half-lap joints (page 37). Glue the frame together and fasten it with screws. Check for squareness. 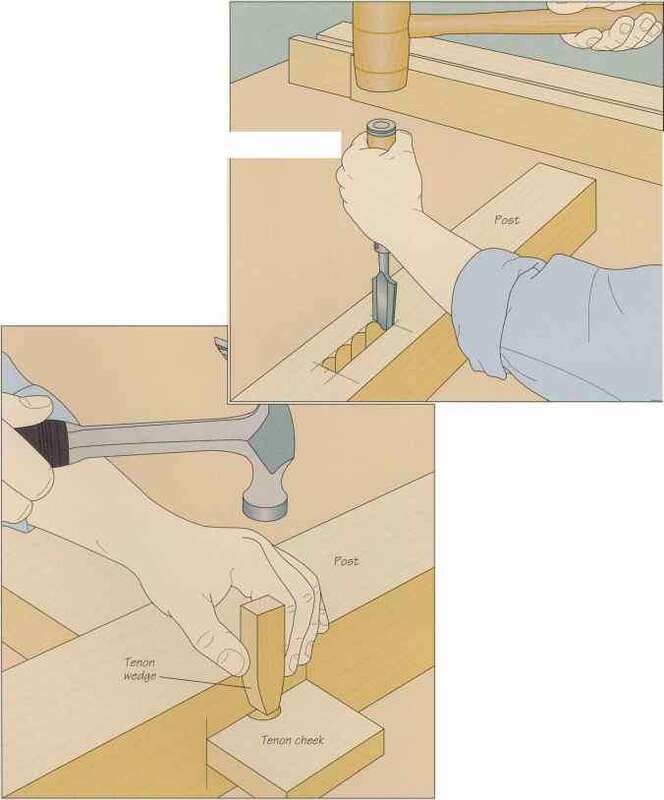 To assemble the top, lay out the top slats on a work surface separated by % inch spacers. Hold them together with a bar clamp at each end. Center the frame on the top, checking with a measuring tape that the borders along the sides and the ends are even. Secure the frame with a pair of screws into each slat (right). Do not use any glue here, so it will be a simple matter to replace broken or rotten slats in the future. The picnic table's leg assemblies nest inside each other allowing it to fold as flat as possible.